Thank you for visiting the Second Sixties Outdoor Club web site. 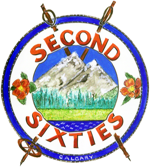 Second Sixties is a non-profit, registered volunteer organization. We are committed to ensuring the privacy of all website visitors. Users can submit forms through this website. We retain this information exclusively for contact purposes. We do not share this information with outside parties unless you authorize us to do so. Our website may include links to third party websites. We are not responsible for the privacy practices of these websites.